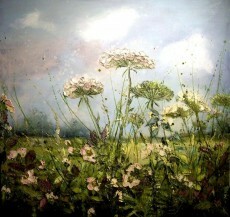 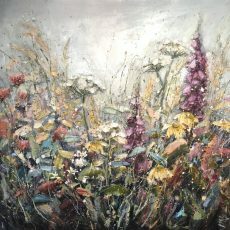 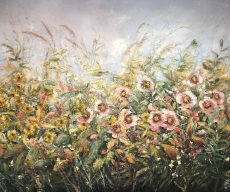 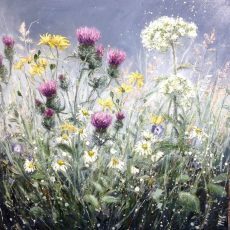 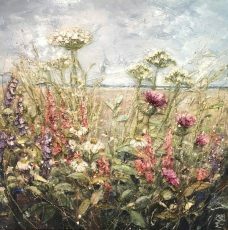 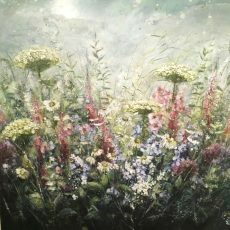 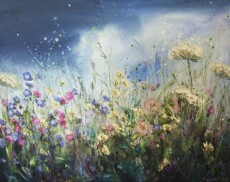 Marie’s beautiful floral canvases have been a feature of Dart Gallery for a number of years now. 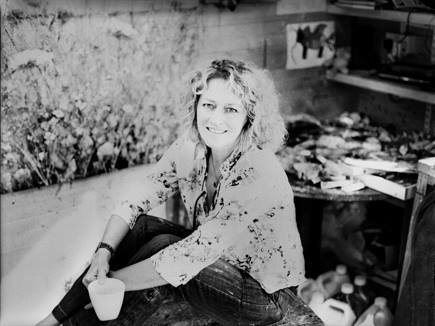 She’s an inventive artist who consistently pushes the boundaries of her technique, producing paintings that sing with her passion for life and the natural world. 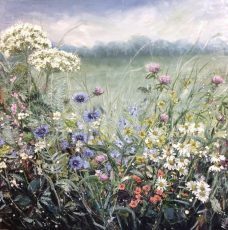 Her technical skill as a painter combines with an in-depth knowledge of plants gained from her mother, a keen botanist and gardener. 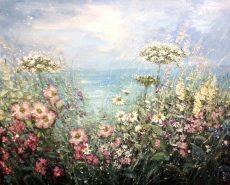 Whilst she began her working life as a nurse, a move to Cornwall in 2000 gave Marie the opportunity to begin painting full time. 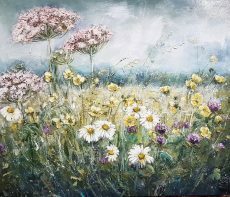 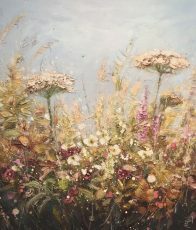 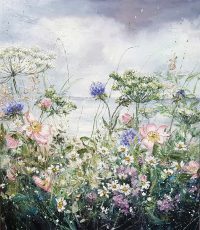 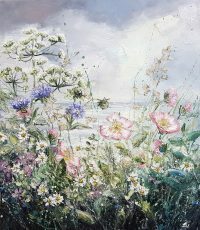 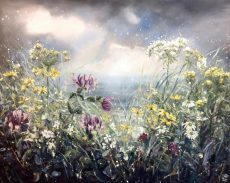 Asked to describe her technique, Marie says: ‘I take great delight in starting a new painting, brushing in the skies, this is the only time I use a brush; I then use pallet knives and my fingers to create the hedgerow. 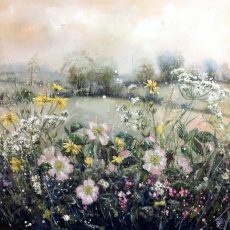 This is all done rapidly so as not to lose the spontaneity and in order to capture the beautiful chaos that adorns our landscape’. 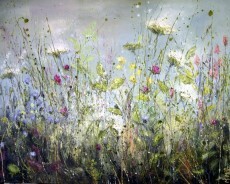 You’ll find collections of Marie’s wonderful work in the gallery all year round.